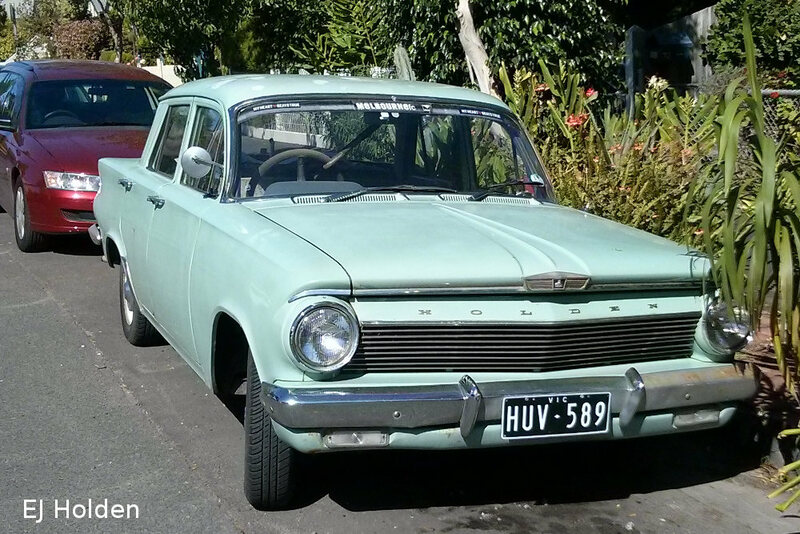 Meet the EJ Holden Standard, spotted here in the wilds of Richmond, an inner suburb of Melbourne, Australia. Not a rare car, but not too common either, the EJ was the first entry of an extraordinary double act aimed at belatedly dragging the brand into the 1960s. The second entry was the EJ’s replacement, the EH model. The EH became an instant classic, reducing the proud EJ to a forgotten footnote of Holden history. Until now that is. The EJ was a revelation when it was released in July 1962. The model it replaced, the EK, was very old fashioned by then – even in its time it looked like a pocket parody of various mid-1950s Chevrolets. The EJ featured a wrap around rear window with just a hint of the cantilevered rear roofline seen on some of its American cousins. 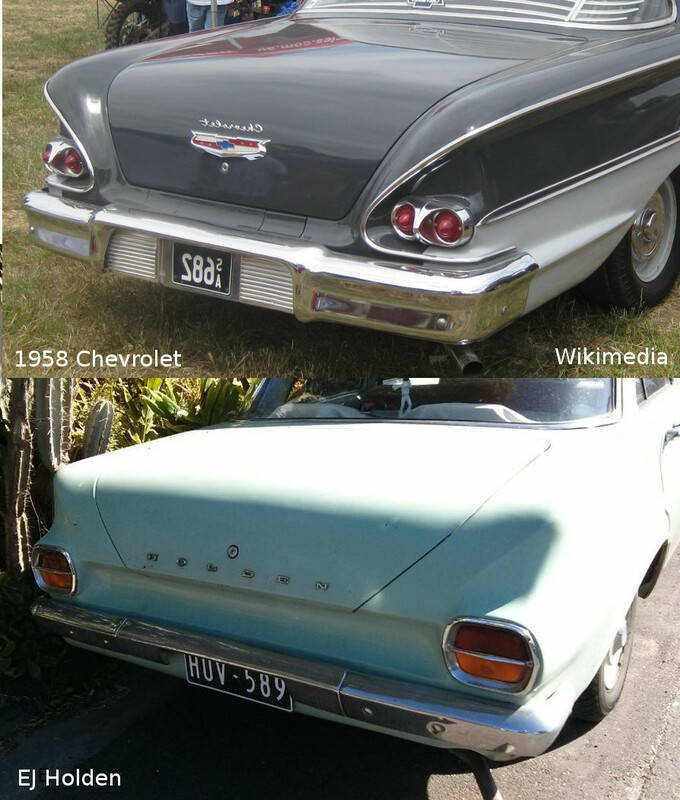 As for the rear clip, to me it looks as though it was originally based on the 1958 Chevrolet, but the designers changed their minds and smoothed it over to disguise the fact. It seems the droopy, nondescript result didn’t overly detract from the overall effect, as road testers of the day had nothing but praise for the new shape. There were no obvious mechanical changes. 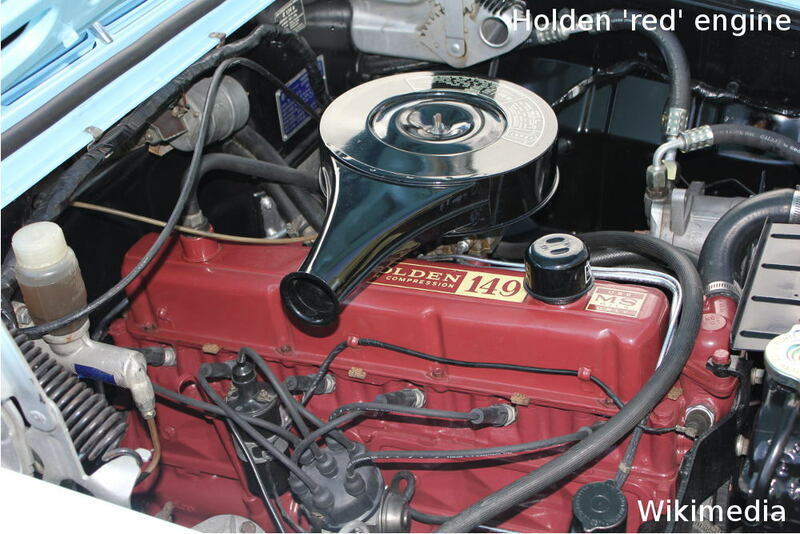 As it turned out, it was the last model to have the ‘grey’ engine that had powered Holdens since the 48/215 in 1948. 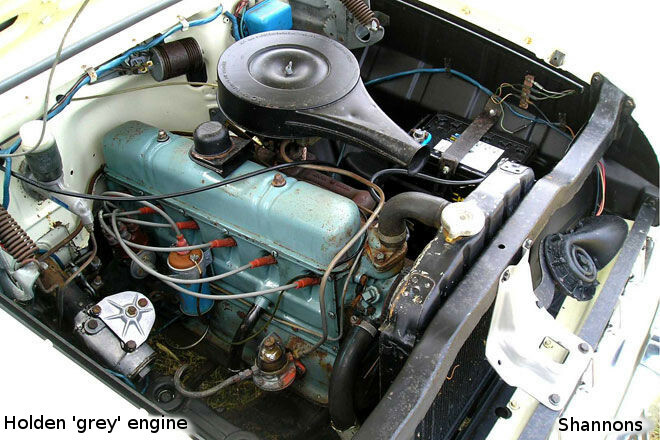 The grey engine was originally of 132 ci, but enlarged to 138 ci in 1960. (The example in the photo appears to have been repainted.) The EJ came with a three on the column or a revised version of the ‘Hydramatic’ introduced with the EK. Some thought was given to safety, as the EJ had duo-servo brakes, foam padding on the edge of the dash, and seat belt anchorages. 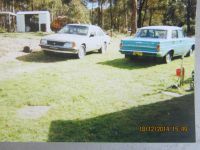 The EJ was available in the usual four Holden body styles: Four door sedan, wagon, ute and panel van. The wagons once again had their own rear doors (they were the same as the sedan on the earlier FB/EK wagon), allowing for a nice, clean design – in my opinion the EJ wagon is a much better looking vehicle than the sedan. The EJ came in three trim levels: ‘Standard’, ‘Special’ and the new ‘Premier’. All body styles were available in the hose-out ‘Standard’ trim (as with our featured car). The wagon and sedan could also be had as a ‘Special’ (and most were), but the Premier was sedan-only. The ‘Premier’ came with standard auto, metallic paint, leather seats (buckets up front), lots of chrome and all the doo-dads General Motors Holdens (GMH) could muster. 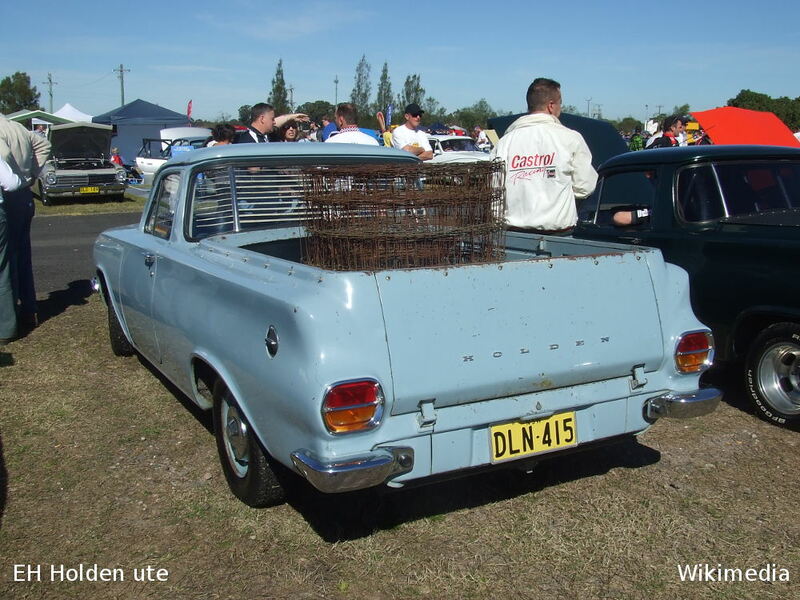 It even had (thin) whitewalls, a feature that never quite found a place in the Australian motoring landscape. 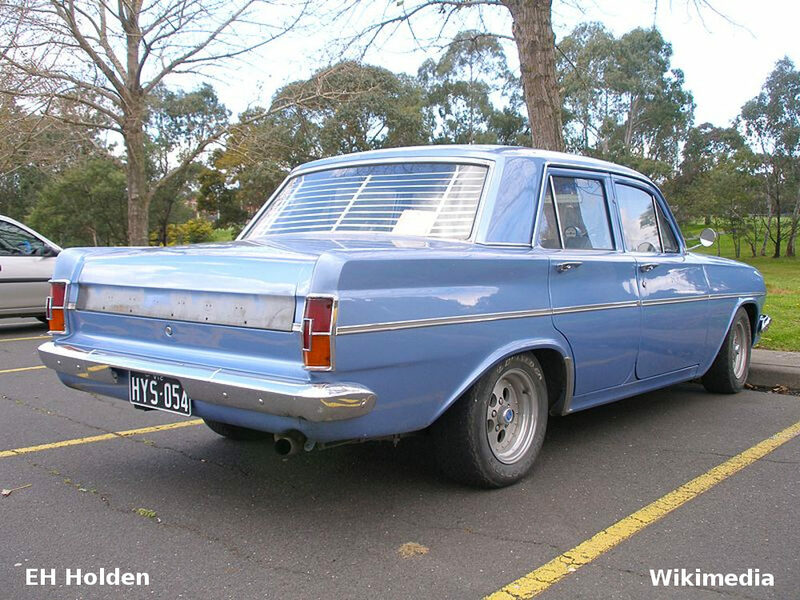 The ‘Premier’ was to remain the flagship standard-wheelbase Holden in subsequent models until the end of the 1970s. The metallic paint of the Premier extended to the dash as well as much of the interior. These days of course the idea of painted steel is not the stuff of luxury, but I think a metallic green painted dash in an early Premier looks quite the part (especially with a snazzy white steering wheel and shifter knob). This little touch of Hollywood contrasts with the corresponding expanse of depressing dark grey in the cheaper models – I can recall that EJ/EH Holden smell just thinking about it. Note the shaped, foam padding along the edge of the dash. 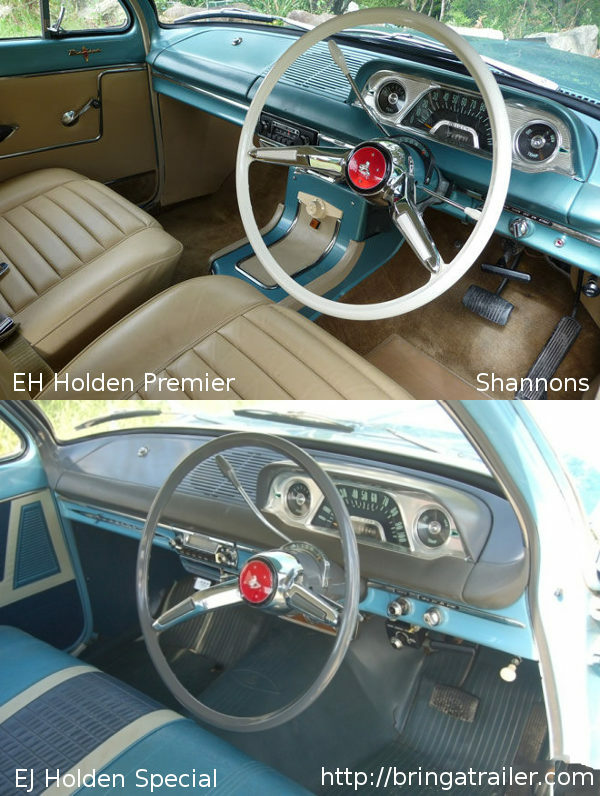 The EJ Holden dominated the market in its day, as did earlier Holdens, and over 150,000 were produced in about 12 months – indeed, the 1,000,000th Holden was an EJ. But time has not been kind to them. Largely forgotten, they’ve never had a great following. And for that you can blame the EH. 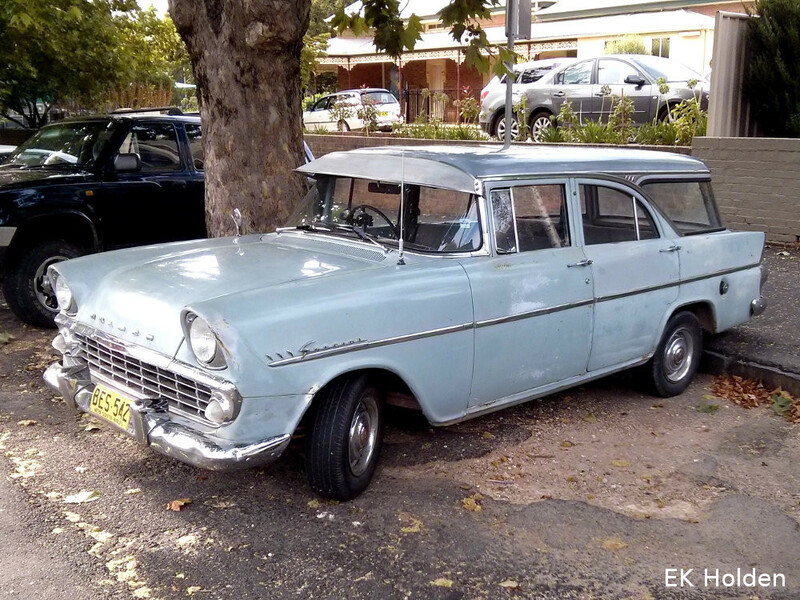 The EH is the classic early Holden. Introduced in August 1963, it has the same body as the EJ, but (to Aussie eyes) tidied up to perfection, with squared-off lines replacing the EJ’s nebulous rump and flanks, and a wider, straight-sided C pillar (perhaps in response to the XL Falcon – is the EH yet another car influenced by the Thunderbird?). The EH was replaced by the HD in January 1965. The changes to the front are probably not that obvious to the uninitiated – mainly just a new bonnet (hood), grille and trim; more a case of tidying up the rough edges than anything significant. The styling alone would have endeared the EH to posterity, but that was only half the story, as it came with the long-awaited new engine. Of similar layout to the contemporary Chevrolet six, the first ‘red’ engines were available in 149 and 179 ci (about 2.5 and 3 litre) capacities. The smaller one boosted power by about a third over the grey engine, the larger by more than half. It’s just a shame GMH didn’t see fit to increase the available braking power – which wasn’t too generous to begin with – to match the increased engine power. 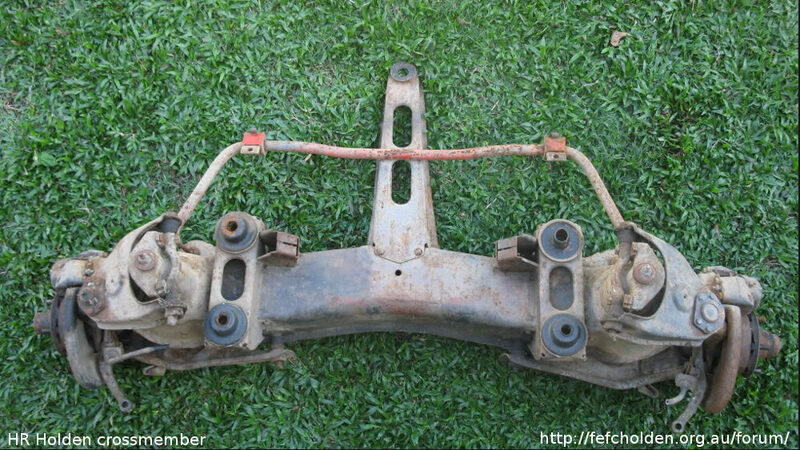 (I believe many survivors have been fitted with the front suspension crossmember from the later HR model, with disc brakes and ball joints.) Anyway, that little detail wasn’t sufficient to prevent the EH selling at an even greater rate than the EJ, and for a longer time. Over a quarter of a million were sold in 18 months, in a country with a population of just over 11 million. 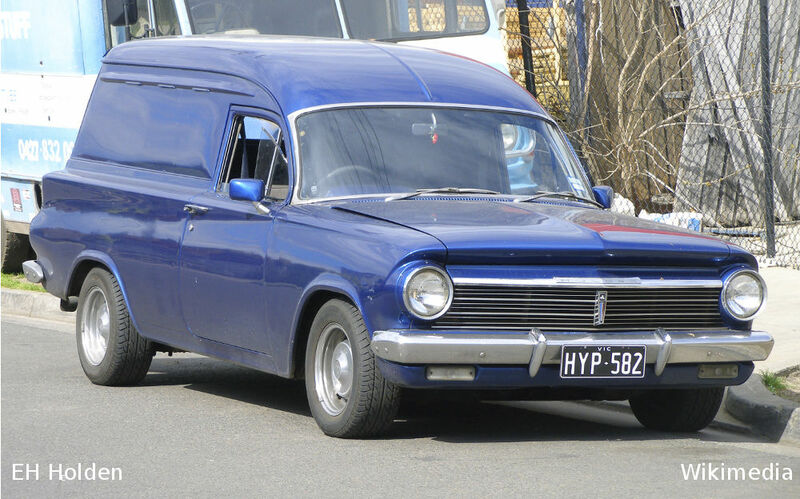 With styling to suit Aussie tastes, plenty of power, and a package of just the right size (2690mm/106” wheelbase, weight around 1120kg/2500lb), the EH Holden became a legend. The EH could be compared to the 1955 Chevrolet, which time has also shown to have the right combination of size, styling and power. The 1954 model may have been popular enough in its day, and it no doubt still has its following, but its the ’55 that gets the glory. 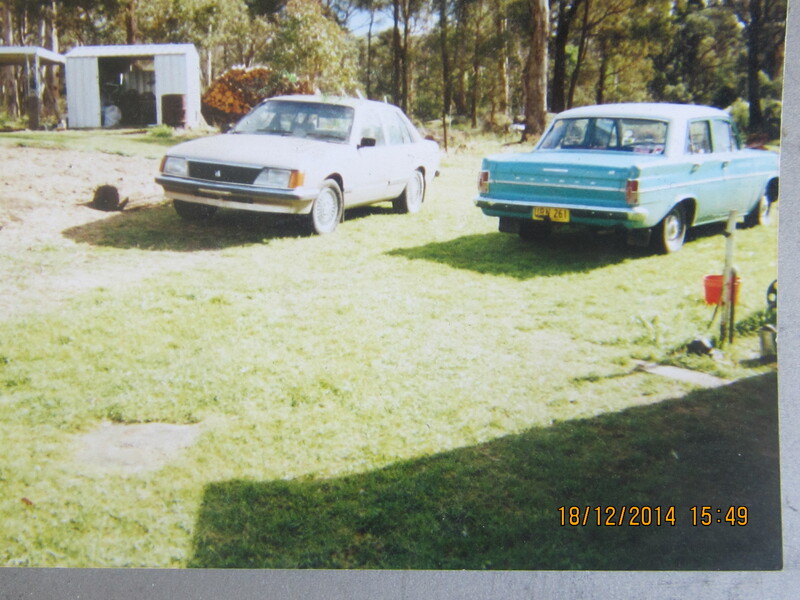 And so it is with the EH, the old Holden that never quite disappeared from Australian roads. 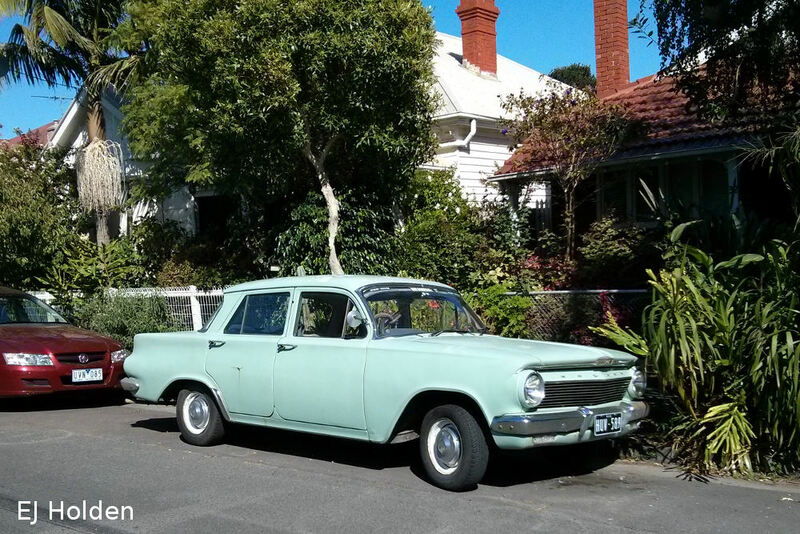 Although not as common as they once were, these 50 year old cars remain an everyday sight in Australian cities, seldom attracting a second glance. I like the looks of the EH just fine . A bit more power under the bonnet is good too ~ I’d retain the white steering wheel though as it doesn’t get as hot in the Desert where I live . That’s what I thought as I looked at the photos. The picture of the 55 Chev is reversed. The Chevrolet script to the deck lid is backwards. That’s a 1958 not a ’55 . 62 Rambler Classic from the rear. Dashboard is very similar as well. Love these. Great write up. The windshield is the same design as the early 60s Chevys. Looks a lot like the 1st. Chevy Corvair. Has the boxy look of a 61 Rambler American with the A pillars of a 61 Corvair. I feel like the EJ is one of the most common classic cars, I still see the odd one around with some regularity. I think Josh’s great aunt has an EJ wagon in season 1 of Please Like Me. And thanks Bootie Bike, my 1960s Holden knowledge was pretty weak but your excellent article has helped improve it! When I first saw the early Corvairs, I thought they had a fair bit of EJ Holden in them. Of course, ’twas the other way ’round. The Premiers had the ‘Warmaride’ heater as standard, where all lesser models had it as an extra-cost option. The centre console in the Premier contained the Warmaride control. Can you imagine not having a heater in your car in a Melbourne winter? Times have changed, in regards to what is acceptable standard equipment! I don’t miss those days! An excellent read before breakfast on a holiday Monday morning. I’m very familiar with the EJ – my family had a white over blue Special sedan way back and my wife’s had he wagon in the same colours. Yep, they were everywhere. My 3rd grade teacher drove a black EH with a red interior which was always immaculate and even as a 10+ yo secondhand car we all agreed it was sharp. Bonus points for the photos including direct comparison shots, and that of the preceding model for context. 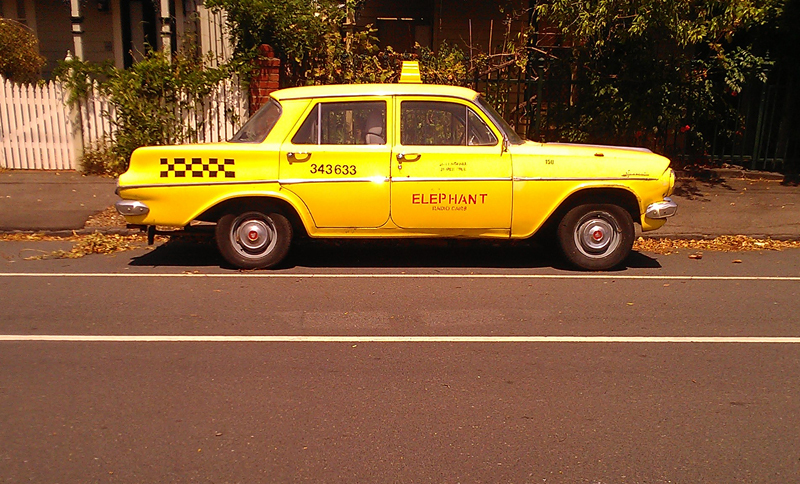 Time to wake a few people up and get into Fitzroy for breakfast and more CC spotting! Take a tram there and catch this cab back home. It’s in the backstreets around Alexandra Pde. Happy spotting! Nice car.. looks just like the 1962 Vauxhall Cresta PB from the front with a Ford style C pillar and rear end grafted on.Maybe one will show up in Neigbours or Home and Away some day. The EJ rear is also Vauxhall-esque in a way. I look at old Vauxhall Victors and think of them as poorly-finished Holdens. Home and away’s outdoor scenes were filmed at a orchard I worked at in Pitt Town NSW they channel 7 had ample opportunity to include both my EH and a coworkers HD in their show neither appeared. Great to see how the GM-cars had this “local color” throughout the years. 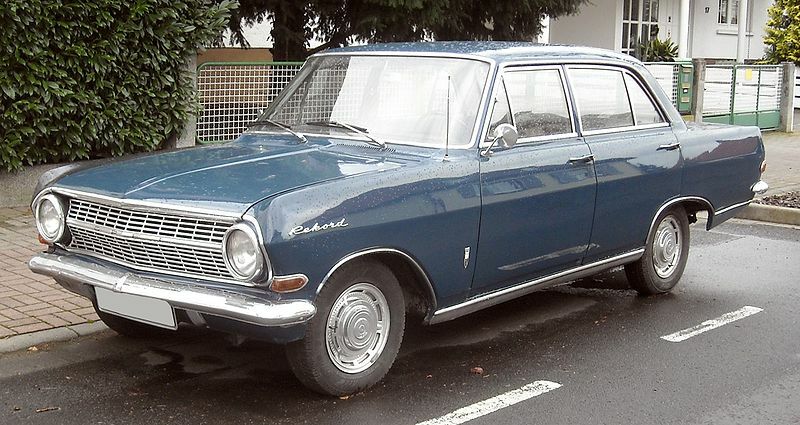 This Opel Rekord A was introduced in 1963, so it must have been the European GM-variant for this segment. 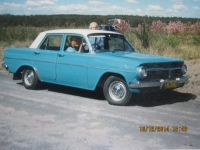 Most of them had a 4 cylinder, but the 4-door and coupe were also available with a 2.6 liter 6 cylinder. Ahh, the grey engine. So noisy, wheezy and yet so reliable. Many owners kept them going until blue smoke was pouring out of the exhaust and the bearings were rumbling loudly. Great engines for the times and there was a massive parts network for them for decades, all over Australia. I say ‘great’ because they were ideal for their owners, not because they were any kind of technical marvel. I see a lot of Vauxhall/Opel/Chevy in the Holdens.I love the parallel universe cars from Australia,keep them coming please and thanks for a great read. Sweet- the Rambler comparison is apt as they were fairly popular here. In fact AMC products were all badged as Ramblers until they withdrew from the Au market in the second half of the 1970s. Anyone notice that BOAC Comet IV (outboard wing tanks) had a Qantas stairway truck? Qantas operated both this (leased from BOAC & with BOAC crews) & the B707-138, a model which had a shortened fuselage in exchange for longer range. Qantas was the 1st export customer to fly 707s. Looks like an ‘ostie behind the wheel of that Holden. 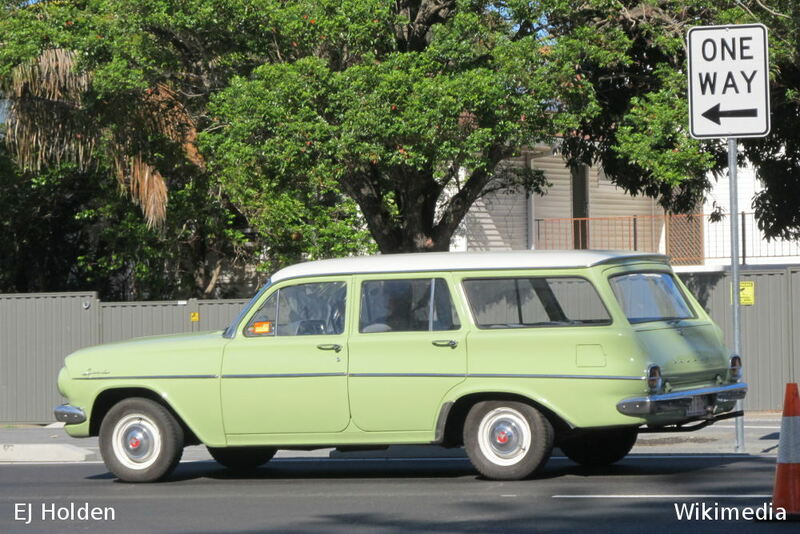 Looks like a Rambler and just as endearing. Nothing to care about here. 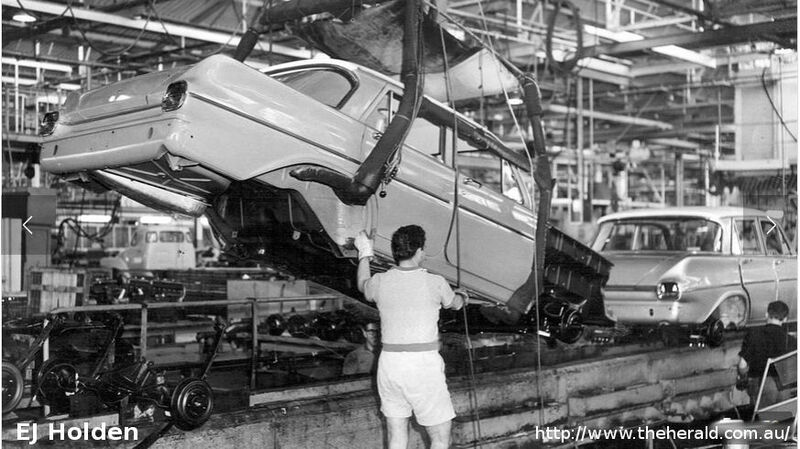 Lucky those 1963 Chevy’s were so flamboyant then? 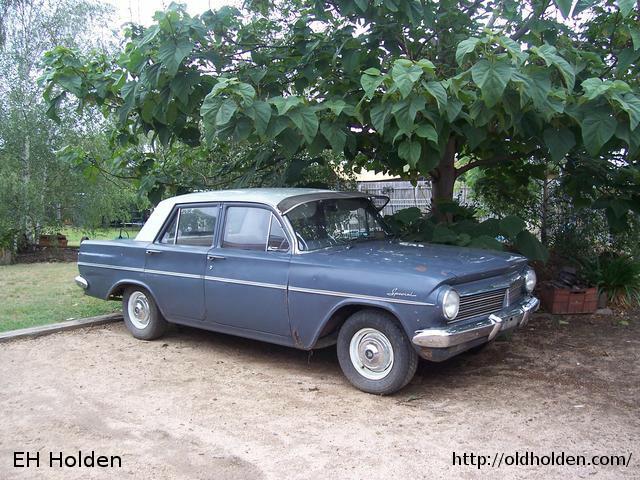 ANY 1963 Chevy looks better than that Holden, even the lowliest 4 dr. Biscayne. I will say this, though – the two-tone blue & cream interior colors are a beautiful combination. Wish those colors were available today. 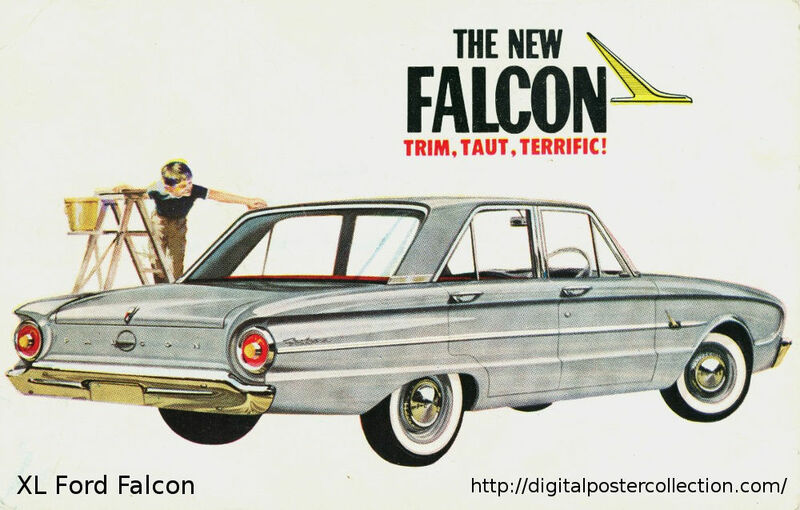 If you wanted affordable and good-looking, you bought a Falcon not a Holden. Durability was another matter….. Sorry, but a ’63 Chevy is world’s ahead of these. They’re just too “meh”. 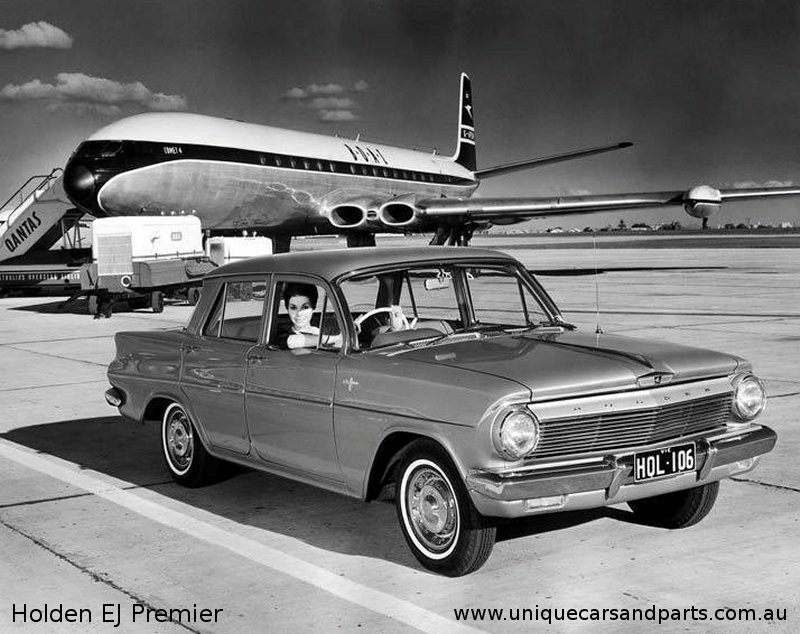 The 63 Chevy was assembled and sold down under it wasnt a huge seller a EJ/H premier was better equipped and finished for less money. Like so many of the Holden designs it is so clearly a GM product without specifically copying the US cars. In this case the A pillar is pretty obvious, and the rest strikes me as some sort of mix between the ’61 Chevy and the ’61-’63 Skylarks. I find the front-end styling of the Holden EJ more attractive than the EH. I’ve heard the “Aussie ’55 Chevy” line used before to describe the FJ, but I’ll take your word for it that the EH is a better fit. And those incremental styling changes do make a big difference from the rear view! Another fun look into the GM-alternate-universe that is Australia. I noticed the speedometers on the EJ and EHs go up to 100. When did Australia go metric (to have the speedos and road signs in Kms)? Changeover was in 1974 for the road. We metricised our currency in 1966. You mean the currency went decimal, e.g. A$1 = 100 cents, right? Before that, we used the British Pound model with its head-scratching 12 (IIRC) increments. D’oh. Yes ‘decimal’ is the right term. In 1962 my father’s friend and employee wanted to buy dad’s 1955 black and white Buick Special.My father didn’t like the 63 or 64 Buicks so he bought a new dark grey,white roof,EJ Holden station wagon,automatic gearbox.It was slow and uncomfortable after the Buicks.In 1963/4 he sold the FE holden ute with its glass canopy and bought a new light grey EH Holden ute,manual gearbox and immensely reliable,but far from exciting to drive.When the 1965 Buick Skylark finally arrived from the USA after a GM strike and then a shipping strike,he sold the EJ wagon to my uncle and auntie who ran the small town historic sandstone shop.They owned it for many years and drove to the city to collect the goods for their store.The EJ wagon had done more than 400,000 trouble free miles.The EH ute equally covered hundreds of thousands of miles with no mechanical problems.Reliable yes,exciting no. I have a special connection to the EH. 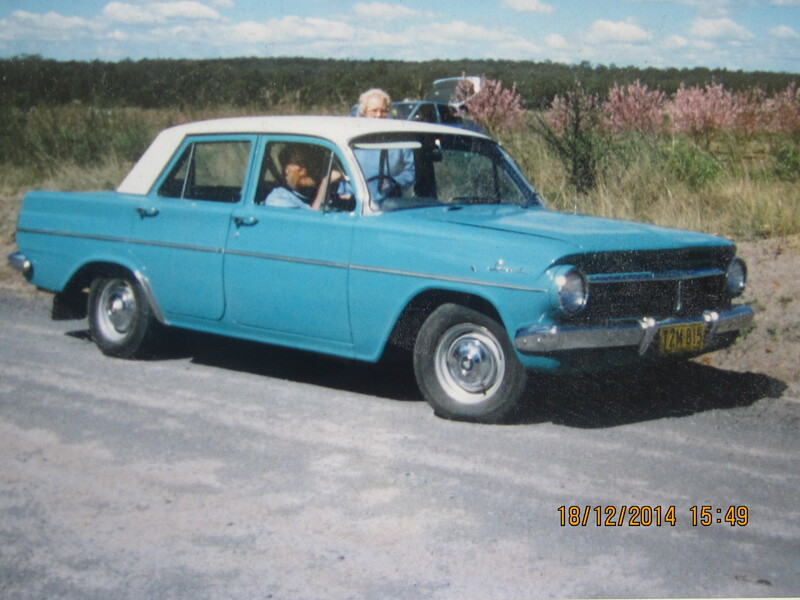 My Dad dropped my Mum off at the hospital (23 December 1964) to give birth to me in their FJ Holden ute, and picked me and my Mum up in a new grey EH station wagon for the drive home! he had arranged to trade-in the FJ for the EH a while before, but my birth complicated things a little! I find the EJ Holden more attractive than the EH Holden. I find it has a better looking nose than the EH. 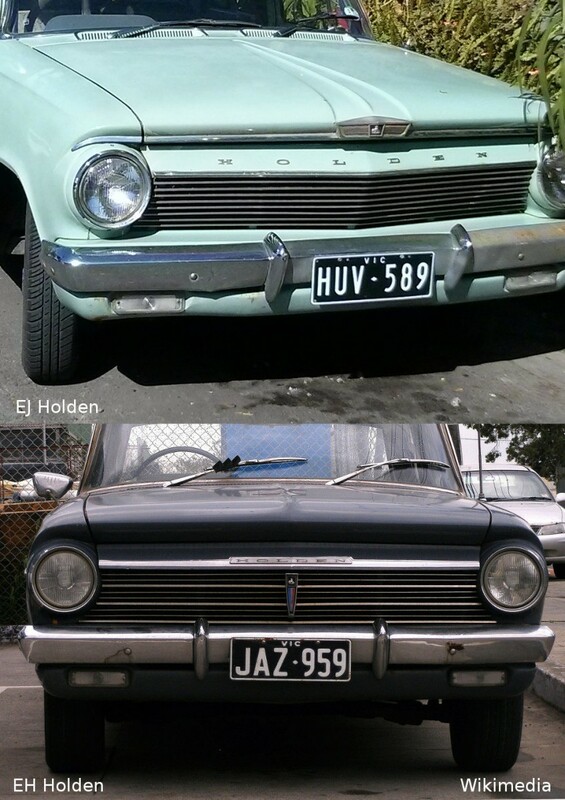 I like the front end appearance of the EJ Holden, but I also like the taillights of the EH Holden.